To be honest I wasn't too excited reading that Sony Music will release a deluxe version of Elvis In Memphis to commemorate the 40th anniversary of the album. It takes more than the 32 masters, even if they are "mastered from the original album masters" and a nice booklet to raise my eyebrows these days. 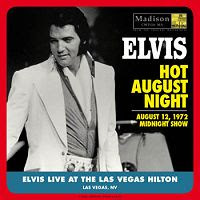 But I do confess that I was a bit surprised, as I had seen no indications whatsoever so far this year that either Elvis Presley Enterprises or Sony were to acknowledge the 40th anniversary of Elvis' historical American Studios sessions. After all, the recordings were done in January and February and the original LP released in June. Then again, maybe I shouldn't be surprised, either. After all, this year saw the third repackaging of Elvis religious songs in the form of a box set (the 4 CD set I Believe), so why shouldn't the same be done to the 1969 studio material? 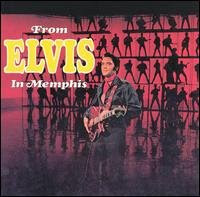 In 1999 we had the excellent double CD Suspicious Minds - The Memphis 1969 Anthology and the year after the reissue of From Elvis In Memphis including six bonus tracks. For me, an FTD version of the album has, of course, a much stronger appeal. Or while I'm at it, why not a release that would be the labels first box set, including both the 32 masters and outtakes? That's one FTD project I wouldn't hesitate buying. But returning to the announced deluxe version, or as it's also called, "the first ever Elvis Presley Legacy Edition CD Set." Most of the songs on From Elvis In Memphis are outstanding, and I for one have friends who after listening to the album, got a whole different picture of Elvis and actually started getting interested in his music. So if this release does just that to people, who am I to complain? And maybe, if a DVD is included, like Ernst hinted, well then I might get a little excited after all. 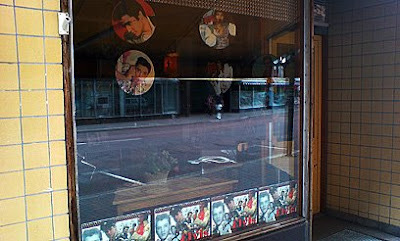 There aren't that many Elvis stores around, not in Sweden anyway, so I was a bit disappointed a few days ago when I walked by one and it was closed. This particular store is located in Karlstad, a town I sometimes visit in my work. A couple of collegues there, knowing I’m an Elvis fan, have recommended a visit, so on my way back to the train station I found it, having asked for directions. As you can see by the photograph, it isn't a big place. I actually missed it the first time around, and had to back track my steps before I found it. Wednesday-Thursday-Friday and Saturday," the sign on the door said. Hard luck, in other words. Nevertheless, I pressed my face to the window and peeked in. The assortment seemed to center around merchandise like posters, alarm-clocks, pictures, cups, t-shirts and figures, but I also spotted some books, DVDs and records. It really would have been nice to go inside. On the train home I did some research on the internet on my lap top and found out the store was called King Creole, as it was opened last year, 50 years after the movie was made. As good a choice as any, and the sign above the door is tastefully done in the same style as the movie logo. Next time my work takes me to Karlstad, I’ll make sure it will be on a Wednesday, Thursday or Friday! PS: Two Swedish local newspapers have written about the store. You can find the articles here and here. If I was in fifth grade in school again, I'd like to be a pupil of Herrestadsskolan in Uddevalla, on the western coasts of Sweden. The reason? Last Friday, the school had a day that was all about Elvis! According to the radio station Sveriges Radio Väst, the pupils have, for some time, been listening to songs and studying the history of Elvis Presley. And that resulted in a day where they could dress like Elvis and listen to an Elvis impersonator, among other things. On the website of the radio station, you can listen to a short report from that Elvis day. One kid explains to the reporter how old Elvis was when he died and that his favourite song is "Jailhouse Rock." You can also hear the music teacher, who arranged the day, tell the reporter that many of the children think that Elvis was a cool guy. Also, that he's been playing both old and new songs, and that there is always someone that they like. In 1965 the album Elvis For Everyone was invented to celebrate Elvis' ten years on RCA. As no session was held to cut the songs needed for an LP, the label's people had to look hard in the vaults to find leftover movie and studio tracks to use instead. But now it seems their first proposal was changed. On Ebay right now is an acetate that could be an early test pressing of Elvis For Everyone with a different track listing than the one finally used. Apparently the thought was to include "Crying In The Chapel," "Tell Me Why," "You'll Be Gone," "Angel" and "A Whistling Tune." But instead, they were dropped in favour of "Memphis, Tennessee," "I Met Her Today," "Summer Kisses, Winter Tears," Finders Keepers, Losers Weepers" and "Santa Lucia." This is an interesting find, and as somebody wrote on the FECC forum, it would be nice to know the story behind the acetate and why the song selection was altered. Especially since the original track listing is a stronger one.